A basic tutorial for creating shipping labels online. The post office gets really busy this time of year. I live in a small town, and sometimes the line can be out the door in December. I try to limit the trips in to town during the holiday season, starting after Thanksgiving, because the roads are more congested, the lines anywhere you go are longer, and I have little patience for being stuck somewhere with so many other things to be done. I've been printing postage from my home computer since I discovered how easy it is, about eight years ago. Anyone selling on eBay or other website that accepts PayPal knows how much easier it is to print a label for a package before going to the post office with it. But yesterday, when I went to print a label for postage using PayPal, I discovered that it's not as straight-forward as it used to be. I thought I'd write this article to help people avoid the mistake I made which cost me an additional $5.05 after voiding a label that never printed. Here's some advice for making your online printing go even smoother, without error, to save you time and money! If you do not have a PayPal account, but you still want to print postage online, you can use the USPS website to print labels. Here are some tips for printing postage using PayPal if you receive payments through it. Second, on the list of transactions, you'll notice a clickable link that reminds you to ship a package. 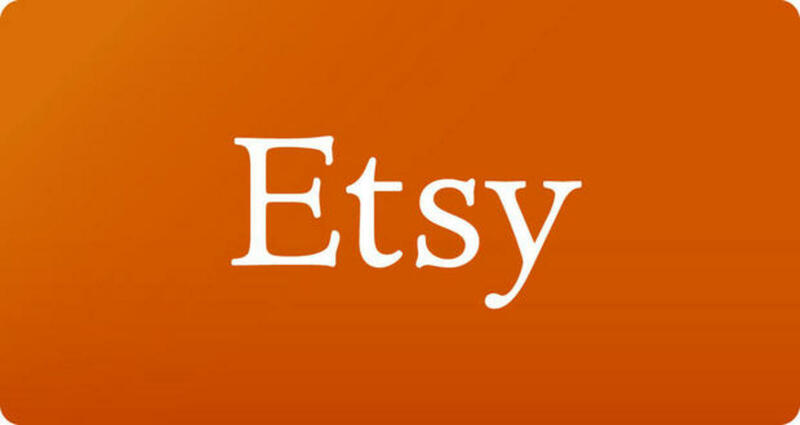 This would appear after a transaction between a seller and buyer on a shopping venue such as eBay, ETSY, Bonanza, etc. Make sure the "ship" date is the same as the date you are physically taking the package to the post office. For example, if you print a label on a Sunday, make sure the date printed on the label is for Monday. If you print a label on the 12th, but ship it on the 13th, the label must be printed with the 13th. Check off whether or not you want the postage amount to appear on the package. 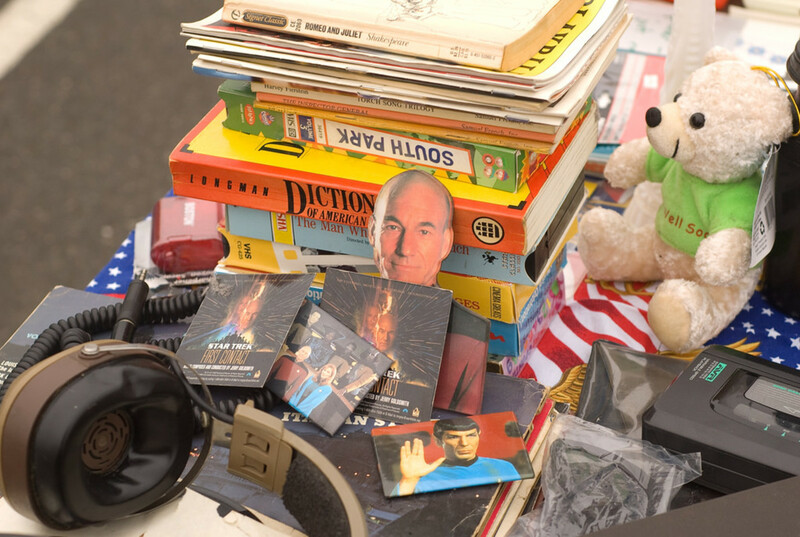 You may not want a great aunt to know what you spent to ship her a birthday gift. This is a way to conceal that information. Also, make sure your zip code is accurate. The post office requires that any package with pre-printed postage has the same zip code as the post office it's shipped from. This means that if you have a zip code of 01234, you cannot go to 43210 to ship the package. I once prepared a package with my zip code, but tried to ship it from the town I had to run errands in that day. The package was refused. The postal clerk informed me that the zip code on the package had to match the zip code of the post office where the package is shipped from. Also, when using PayPal to generate shipping labels, you can always print the label the day you ship the package. 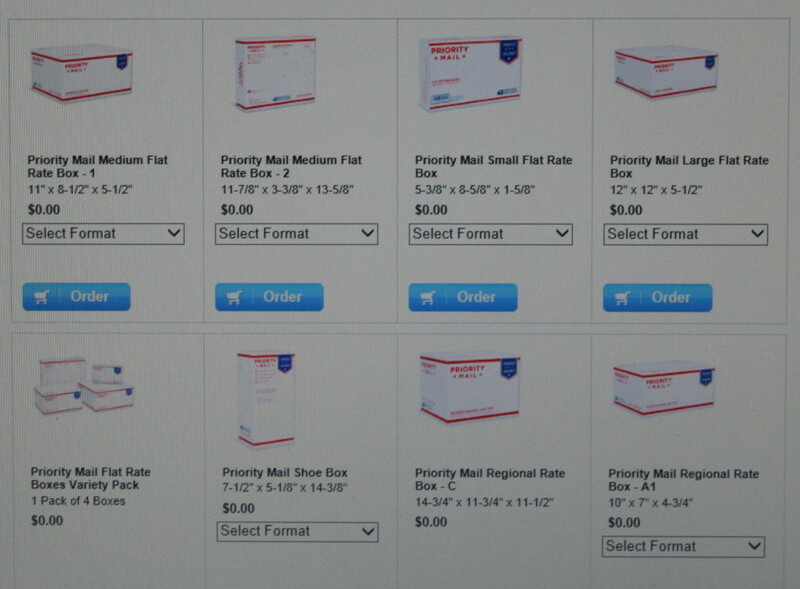 Many people, small online sellers, and large business print their shipping labels in advance. To avoid the "stale" date pitfall, print the label the day you are shipping it. What if I don't take a package to the post office on the day the label is dated? This just happened to me and what a time I had trying to research this issue. I rarely use PayPal to print labels. But this one time, it was more convenient, and it was late at night. When you use USPS or eBay labels, the date is automatically updated to the next day if it is after post office hours. For example, on Tuesday at 1 p.m. in the afternoon, you want to ship a package. You create a label and specify you want it shipped on Tuesday. No problem. Even if you want to ship it on Wednesday, no problem, you just change the date on the drop-down menu. Where the problem arises is when I went to print a PayPal label, I got the drop-down menu and I chose the next day as the shipping date. When it printed out, the previous day's date was on the label. In order to correct this, I would have had to void the label. The post office already has the money from PayPal from charging for the first label though. To void the label, you are also requesting a refund from the postal service online which can take up to three weeks. I went to the post office with the package that had the previous day's date. The counter clerk knows me from going in there so much. I'm from here, born and raised, small town, so that in itself is a perk. However, he didn't look to happy when I approached him and told him the truth. I mistakenly printed this label last night and the date didn't print today. It printed yesterday. He took a rubber date stamp, and stamped in red the current date. I thanked him profusely. He just saved me a trip home and another postage fee for creating a new label. The post office considers pre-dated labels to be "stale dates". They no longer accept pre-dated parcels with postage printed online. In researching this topic for my own knowledge, I came across two different opinions to this matter. There are some that say the date doesn't matter. There are others that say packages have been returned to them for stale shipping dates. Some even go on to say that packages with stale dates can be dropped off in a blue drop off box outside of any post office, but not brought to the postal counter. Others say they've never had a problem dropping off a package at the counter with a stale date. I also found websites discussing this issue about businesses. There are businesses that have mail rooms, and the employees have been told by the post office that no package will be accepted with a date other than the ship date. In conclusion, if this does happen by accident, chances are the postal clerk will be forgiving like in my situation. However, this is not an expected service. USPS has issued a notice about this matter. Labels printed online must not be altered after printing! Any package with a manually altered label will be returned to sender. Mail your item on the date printed on the shipping label. Labels with "stale" ship dates should not be used. This means any time after the date on the package. If you are unable to use any label, void it. A refund will be processed within 30 days of the printed label. If the label doesn't print, there is an option to void the label. However, once you print a label, even it if didn't print, the money is automatically subtracted from your PayPal funding source. If it never prints, even after retrying print again, you will have to void the label. The refund takes approximately three weeks. It will go back in your account automatically. That's why it's ultra important to not void a label more than once. It would cost too much money deducted from PayPal all at once. Log in to your USPS account. 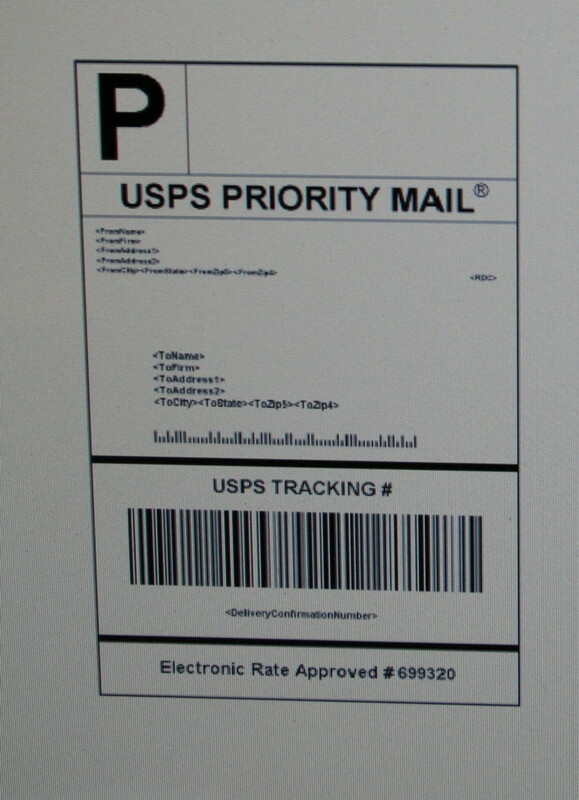 The barcode cannot be used to indicate the label was used to ship a package. A refund has not been previously processed for that label. Printing shipping labels on eBay. If you are one of the millions of folks who operate a store or run auctions on eBay, one of the perks is being able to create a label directly from a sale. When you sell something, you will be notified through email and on your eBay page that your item has sold. It will also inform you that you need to ship an item. Delivery confirmation is included and not a separate fee. The shipping information is automatically generated from the listing information. For example, if you specify that you want the package to go by priority mail or media mail, the label will automatically generate those choices as well as others if you change your mind. Tracking information from the delivery confirmation number is automatically uploaded to eBay. It's a clickable link, viewable by the customer at any time after the label is generated. You will know when the item has arrived at its destination. PayPal will automatically deduct the amount of shipping from your account. How to print a label from eBay. Sign in to your account and click on My eBay. You will have a notification that you have to ship an item. Click on that hyperlink. Click on print shipping label. You will also receive an email in your registration email. View that email to make sure the buyer hasn't also written a note. You can leave a private note to your buyer. You can choose whether to discose the shipping price on the package. Make sure the shipping date is accurate. One perk about shipping on eBay, is that when you ship a package after postal hours, the date automatically resets to the next day anyway. You don't have to worry about stale shipping dates like you do when shipping directly from PayPal. Do you print your labels online or stand in line at the post office? I never like waiting. I always print my labels from home and then drop them off in a blue box. I print my labels at home, but then I take them to the counter to be scanned by a postal clerk. I print my labels at home, and then I schedule a pick-up for my priority mail packages. I don't trust computers. I go to the post office to buy my postage. I like the old-fashioned stamps and standing in line at the post office where everyone knows my name. I keep a drawer of stamps and like to put them on my packages instead of printing labels. If you do use plain paper, be prepared to trim your label to size. Also, make sure you cover the return and shipping address with packing tape. If it rains, the ink on the paper will run. Also, make sure you do not cover any barcodes with tape. I do hope that you find this article helpful. Sometimes, printing postage online, no matter how simple it may seem, can cause a headache for the shipper. Especially if labels have to be voided. That can cause a costly mistake which I believe most business owners would want to avoid. Invest in a postage scale. I have a home scale called Ultra-Ship 35. It wasn't too expensive when I bought it. It keeps good weight accuracy. If you invest in a scale and ever need to confirm it's accuracy, take your parcels to the post office all set to ship. Ask a postal clerk to confirm your postage to make sure your scale told you the correct weight. Have a decent printer. I use an HP Deskjet 1000. It's small. It fits on my counter top by my computer. I print in draft mode to save ink. The ink is a lot less than other printers. Stock up on packing tape. Keep a roll of tape and scissors handy. Use plain paper to print your labels, or invest in waterproof, self-sticking labels. The post office will scan your package when you drop it off. The package will be tracked to it's destination! Choosing the right printer for your home-based business needs, and what to expect from a separately purchased warranty! Tips for dealing with the warranty provider and manufacturer. Don't forget to order free shipping supplies online ahead of the holidays! My local post office does not carry all products available. They carry a limited supply. Stock up early before the holiday rush to ensure your supplies arrive in time. Delivery times vary. It takes approximately two weeks to receive supplies. Heidi,Thanks for these! They are too cute can't wait to use them. I wanted to let you know that my yogusent daughter who is 9 got the awesome doughnut set from Kidrobot for Christmas. She is going to be so excited. I also wanted to thank you for the wonderful cinnamon hot pad pattern. I made two in a jiffy and sent them out to my dear friend and my sister-in-law. My friend already opened hers and loved it! Are the shirt sizes accurate fit? My boirfyend usually wears Large someone's xlarge.. I can usually tell by which company do you have your shirts made with? Hi Randomcreative! Thank you so much for your input here. I was at the post office the other day and was surprised by the amount of people who have no idea where to even start printing labels at home. Two of the customers were using priority mail labels to send packages by either first class or parcel post. The postal clerk had to tell them they can't use a priority mail label unless they are paying for priority mail. I just find it funny because I know that printing labels online has been around for sometime, yet there are many who still don't know anything about it. Anyway, thanks for stopping by! Hi Beth! LOL, I had to send a package at the post office and printed the label online. I've lived here most of my life and cannot get near the front door of the local post office during December. They have one line open just for pre-labeled parcels. I just put my packages there and they get scanned in right away. It makes it so much more efficient. This is a long-winded explanation of a fairly straightforward topic, but it's a topic that I'm glad that you're addressing. I've been printing my own labels at home for three years and have never looked back. Personally I've never had issues with the PayPal dates. On the rare occasions when I have had to void a label, I did get my refund within the given time frame. It was interesting to hear about your experiences with USPS and eBay. I have also been printing labels with Etsy since they introduced that service, and it has gone surprisingly smoothly. Regardless of the site that you use, printing your own labels saves time and money, particularly if you send a lot of packages, especially around the holidays. I hope that this article gets more people to consider it. Very helpful Hub, CraftytotheCore! My husband makes shipping labels in this fashion, and the process certainly has its benefits. One of the pains of going to the PO is the long waits, lol. Hi Hezekia! Oh, I certainly hope it works out well for you. I don't ship much internationally. I have tried it a few times. But I usually end up taking the packages to the post office and having the postal clerk explain the process to me. Here, we have to do custom forms to ship overseas. Good luck to you! Thank you for commenting here. 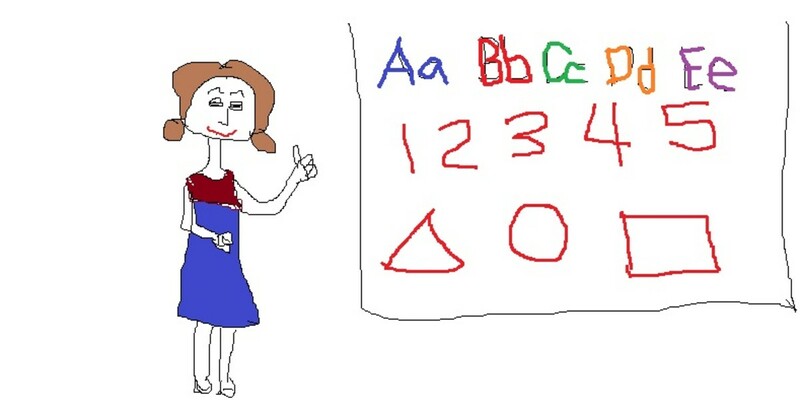 Thank you so much for commenting teaches12345. 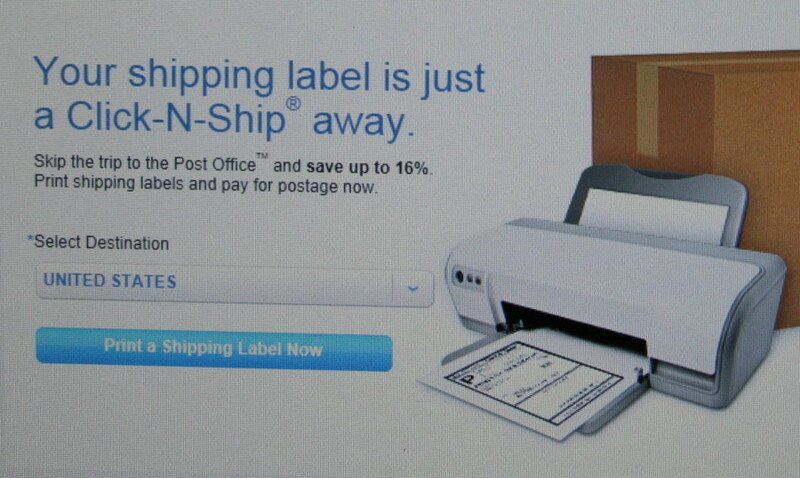 With each way, using USPS, PayPal or eBay to print labels, they have their own little quirks. I just found out that if you need to reprint an eBay label, you can go to the left side of the eBay screen and find "shipping labels" and then reprint it from there. That was a note to self moment for me because I had so much trouble reprinting from PayPal the other day. So each website has its own little way of printing/reprinting. Very good tips and help there. I have family all over the world which I need to ship things too. Let's see if I can apply the same idea from here in Asia to send things to Europe. My how times have changed. This idea is fantastic and will save me time and money. THanks for sharing! Hi MsDora! I'm not a techy person at all. So anything I do that I think others benefit from, I try to write about. Thank you so much for your kind comments. So thoughtful of you to share. I'm keeping for reference. Thank you very much. Thank you so much for commenting here Midget38! I truly appreciate your input. Hi Alicia! Thank you so much for your kind and wonderful comments. I truly appreciate your input here. Hi Faith! Thank you so much for commenting here. It's overcast here today after being so sunny yesterday. We are all bracing ourselves for the next storm. Have a nice weekend! Hi Kidscrafts! I found a really great deal on those address shipping labels at Walmart. I got 750 for a few dollars. They really do come in handy for things like greeting cards and letters. Hi Sha! I buy stamps at our local grocery store too. I just love how convenient that is. I remember when there were these little machines at the local pharmacies. It would take quarters and you could buy a stamp or two in a pinch. I haven't seen those around in a long time. Another reason to buy postage online Wiccan is because delivery confirmation is free, and depending on where the labels are printed, there may be a discounted postage rate. The USPS website has a shipping calculator. It shows two prices for mail. Online price is cheaper. But I believe eBay also gives a discounted rate. I've saved a lot of money printing postage online. Especially sending packages to family out of state. Hi Flourish! I did read where a lot of people suggested to just stick the package in the blue box. They said that's always worked for them. I don't know why the post office changed the rule, except what I read was that they were being blamed for the packages arriving late. I guess it has something to do with the estimated shipping times. Like for example, the priority mail package estimated to arrive in 2-3 days. They don't want to be blamed if the package gets their too late. I don't know. That's just what I read. Hi Wetnose! I know, I didn't think it would matter. But then after I printed this label and saw the date was incorrect, I just googled it to figure out if that would be ok. I was really surprised when I started reading all this information about how the post office changed their rules around 2010 I think. I never gave it much thought really. I used to work in an office that had metered postage. The end of the day, the receptionist would take the mail to the post office. But it was always after the post office closed because our office closed late. They never returned the mail to the office or gave us a hard time about the metered postage. I just read a couple of business blogs that said they've had whole bins of mail returned from "stale" dates. Hi Jackie! I couldn't believe it the day the clerk told me I had to ship the package from the town where I printed the zip code. I was really surprised. I just never thought it mattered. I always ship from the same post office now. Great ideas! Never thought about printing my own labels, but this is certainly most convenient. Sharing on!! Hi Linda! Thanks so much for commenting here. It's nice to see you. Hi Billy! I'm not a techy person at all. I was so frustrated, and almost panicked when the label didn't print the first time. LOL This has only happened with PayPal though. Printing it directly from USPS has never been a problem for me. I don't create my own shipping labels, but if I ever do, this hub will be very useful. The details are great. Thanks for sharing your experience, Crafty. Really useful hub here! Especially great for those who do business via eBay and such. Will keep this one handy for reference in the future. I use to print online now I don't. My husband needs something to do so he goes to the post office and visits with old friends while he's there. Great hub full of lots of good information. Voted up. Another well organized and useful article, Crafty! Like Bravewarrior, I never printed any shipping labels and I always go to the post office. I don't need those kinds of labels so often anyway. But I think it's a great service when you need a lot of them or often. Thank you for sharing another great hub! Excellent article, Crafty. I've never printed shipping labels or bought postage online. I always go to the post office or buy stamps at the grocery store. I'll keep this in mind the next time I need to ship something. Ah, you make it sound easier than I thought it was, lol. I usually hand-write labels and go to the post office to pay postage. I might try this. Although I'm sure there must be some reasons for their rules, some of them just seem a bit much. I'd probably stuff it in a blue box and run before the clerk got mad. Who is really to say whether you did it the night before or that morning. I never paid attention to the date. Guess I better. I usually drop the package in the blue mail box. I find this very interesting and a lot we really should know. Crazy facts about zip codes differing. Guess it is like our government, doesn't have to make sense, just the way it is! lol Great info! Hi CraftytotheCore a very helpful hub and I didn't know one could attempt this on a home computer also I haven't got to that stage of shipping. How to Create Shipping Labels Online from your Home Computer is an informative hub to anyone trying this approach. I enjoy reading your hubs. Thank you, I will keep this in mind when shipping. Very helpful Brandi. I have nothing to ship but if that day comes I'll keep this one bookmarked for future reference. Since I am brain dead with all things based in technology, this will come in handy down the road of life. Thank you!